If you’re a chatroom enthusiast, then you might have heard about Chatwing chat app. If you didn’t well, let me describe it in a nutshell – it’s one of the best chatting tools you can find.It can be used independently but site owners prefer to use it to give their site a supporting chat feature. 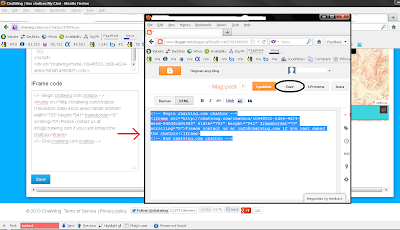 If you are one of those site owners, then you might want to know how to embed this nifty chatting tool into your site. 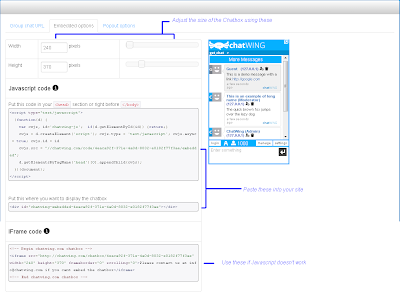 Embedding Chatwing is pretty easy. First of all, you need to have a Chatwing account, so register at the site. 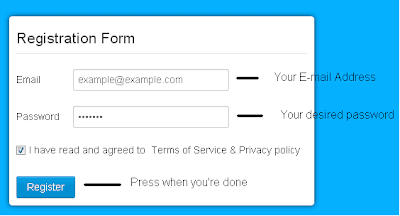 Don’t worry, because the whole process will only take a moment since it will only ask for an e-mail address and your desired password for the account you’re creating. When you’re done making your account, you’ll instantly be redirected to the chatbox creation page – the Dashboard. This is where you’ll make your future chatroom or modify your already existing ones. For now, you are given a default chatroom so use that. Press the Use Chatbox button afterwards. After doing so, you’ll be headed to a page the shows three tabs: Group Chat URL, Embedding Options and Popout Options. These are the methods of how to use the chatbox. Since you’ll be embedding it in your site, click on the Embedding Options tab. Here you will see two scroll bars that you need to use to adjust the size of the chatbox when it goes live on your site. After the adjustments comes the final step. Look for the code below the scroll bars. That’s the html code of the chatbox you’re going to use. There are additional instructions on the upper part of the box where the code is to make sure you embed the chatting tool right, but basically all you have to do is copy the Javascipt code and paste it on your site. Once you’re done pasting and saving your progress, all you need to do is refresh your browser and your chatbox will be waiting there for you and your readers to use. 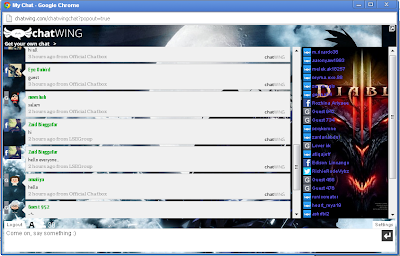 And lastly, the chat software is intended to be open for everyone to use. That’s because not only is it very efficient in providing real time communication through live chat, it is also very affordable. It’s free. This tutorial is about the integration of ChatWing, one of most popular chat application, on a website or blog and written by Aaron.